The variety of window shapes and sizes available to today's homeowners is impressive and window companies are always coming out with new innovations. One of the most popular ways to customize the look of your windows is to add grilles. These are the crossed slats that break up the look of a pane of glass so that it appears to have several individual panes (usually four or six smaller squares within a pane). They can add a touch of authenticity to a historical house or add interest to a modern home depending upon the style, color and material you choose. The majority of today's homeowners prefer grilles that are enclosed between the two sheets of glass found in double-hung windows. They also make it easier to clean your windows because there aren't any slats in the way when you wipe down the glass. These are popular with almost any style of home and are the easiest to care for. Window companies often recommend these to homeowners who are looking for additional appeal with easy care. These are exactly what they sound like - grilles fixed to the windows on the outside of the glass. Window companies usually attach them permanently to the exterior glass or the interior depending upon your preference and the style of the house. Most people choose to have them on both the interior pane and the exterior pane for a more architectural look that's in keeping with traditional homes. If you want the windows to look as historically accurate as possible, you can have spacers installed between the panes of glass that will actually cast a shadow in order to give the appearance of small, individual pieces joined together by crisscrossed slats. If you love the look of stationary grilles but hate the idea of having to clean between each section of glass, window companies recommend having a fixed one on the outside of your windows and removable versions on the interior side. 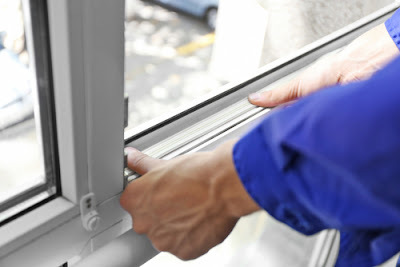 The removable versions usually pop into place and can be easily taken out so that you can clean the whole pane and pop the slats back into place. If you have interior wood trim, this is a great option because you can have them stained to match the wood trim. While you can get grilles for virtually any house style, they are most popular on colonial homes for an authentic look that mimics older homes. 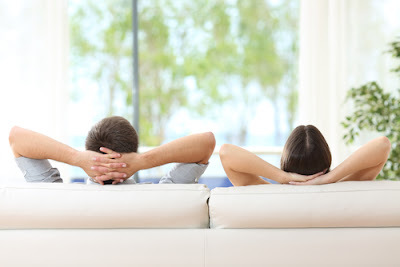 If you prefer an uninterrupted view but want to add some interest, consider having them installed on only the top half of your double hung windows. If your architecture is more modern or contemporary, you could opt for fractional styles, which are installed on only one portion of the pane, usually across the top. There are also diamond pane styles, arched versions for Palladian windows and an array of customized options, so take the time to talk to a few window companies in your area who can help you choose the best grilles for your home. Right now there are many different types of grills you will find in Singapore, with numerous materials and designs that will effortlessly fit the decor of an individual's home. Steel racks are the very best protection. However, houses don't need to resemble a jail for the family to be safe. With proper grills, homes are secure and appearance fantastic additionally. The more elaborate designs of a security grill are generally used in the front of the home or any type of obvious window. The materials, as well as the quality of the window grills, is what makes them more elaborate. These types of security grills use a heavy duty steel nylon uppers that is tamper immune and cant not be cut. The steel webbing is available in many different designs and styles. Besides the steel mesh, the frames are much more desirable as well. The structures are smooth and have a stunning finish. A property owner can custom order a security window grill in a color which fits the home. Wrought iron and steel grills can be a significant deterrent for the would-be criminals. Although these kind of grills are challenging and hard to break through, they are available in numerous designs that help to add to the decoration of your house. Some people may think these kinds of grills might not be resistant to rust. However, they are treated, and most homeowners don't have any problem with rusting window grills. Although lightweight aluminum is the lightweight product, that should not stop residents from getting them. It is because they are sturdy and very challenging to break through. In fact, the aluminum's light weight indicates there is less worry on the house where the grills have been attached. It is critical if your grills will be attached to wood. Iron grills are the strongest sort of window grills. Metal grills are heavy, so this could be something that the property owner of timber residences desire to take into consideration. When we think about metal, we often tend to consider something that is bulky, large and unattractive. On the contrary, the iron window grills can be found in many gorgeous designs and designs that will certainly add beauty as well as the protection the house demands. However, there is one significant disadvantage of the iron grills; the maintenance can be a tiresome job. Iron oxidizes, coming to be rusty and dull over time. If property owners might like to prevent this from occurring, they should repaint these grills on a routine basis. Start by identifying the form of the windows. Grilles can fit the standard rectangular window, or they may be made to fit the quarter round, segment, elliptical and quarter radius fashions. Measure your windows. Fit your grille into your window. Position your grill inside of the window then push in the pins to secure it. Secure the grill. Glue the window grills to your window so that it will remain in location for keep years to come. 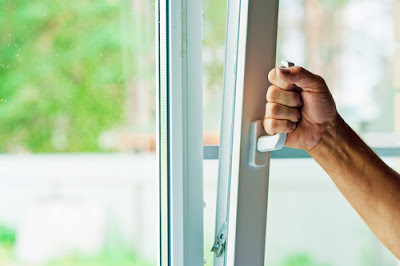 Installing them over vulnerable Windows will deter any would-be an intruder. One look at the window security grills and the thief will quickly move on to an easier target. These grills are an excellent way to protect your valuables, and most importantly, they will protect your family.